We’ve all see those advertisements from the 1950s and ’60s magazines showing deliriously happy women vacuuming or hugging a stove or beaming over a cake mix, but not all of the Library’s periodical descendants were so intent on marrying a woman’s happiness with domesticity. 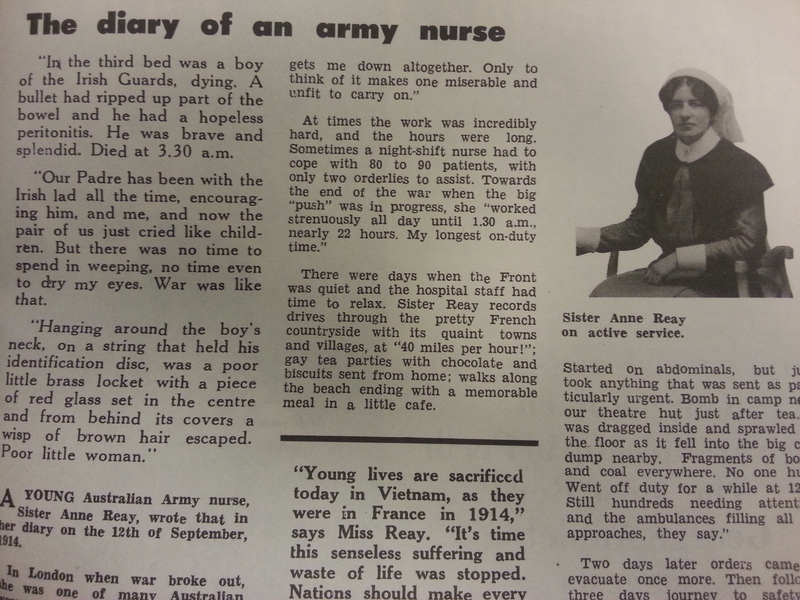 Our women was one of those. 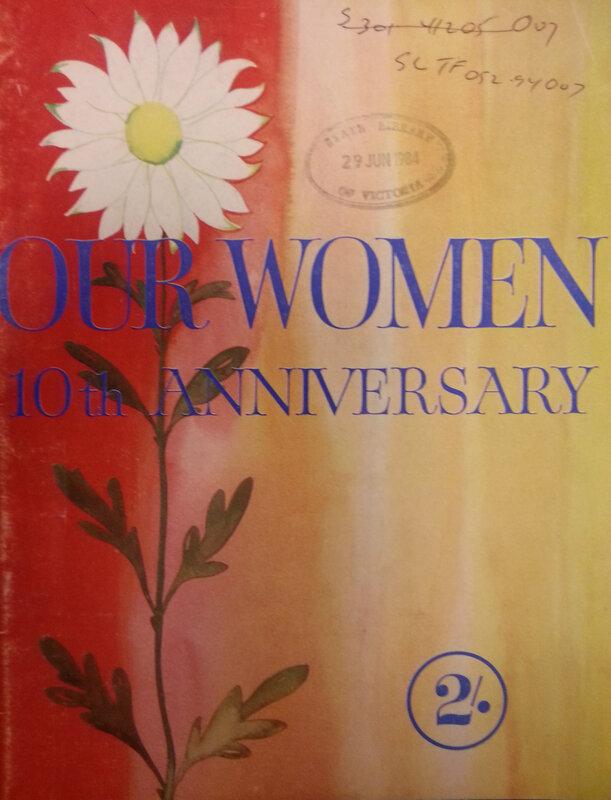 Cover of Our women, Anniversary issue, 1963. 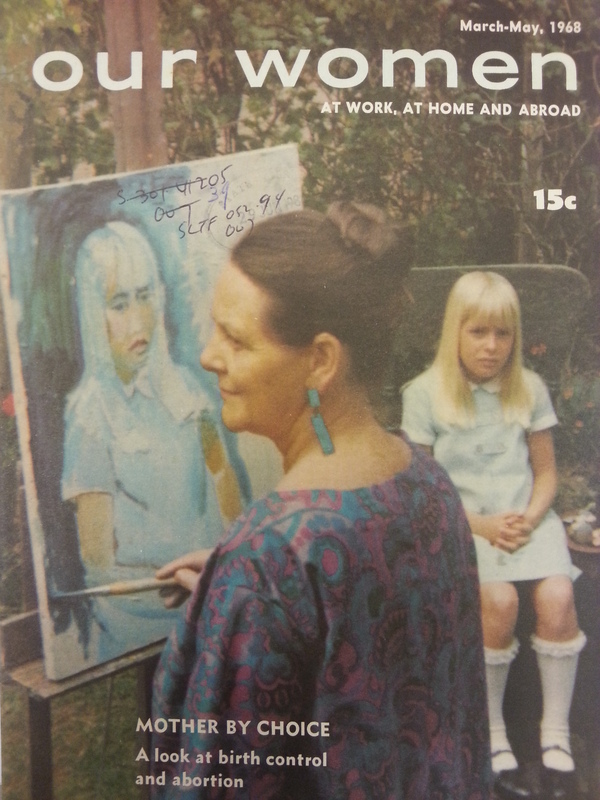 The magazine also contains recipes, gardening tips, short stories and regular columns such as ‘Over a cuppa’ and ‘Your garden’, as well as feature articles like ‘A five-day shopping week’ and ‘Prepare your child for school.’ Indeed some covers juxtapose such headlines as ‘Australian woman in Antarctica,’ with ‘How to home perm’ . 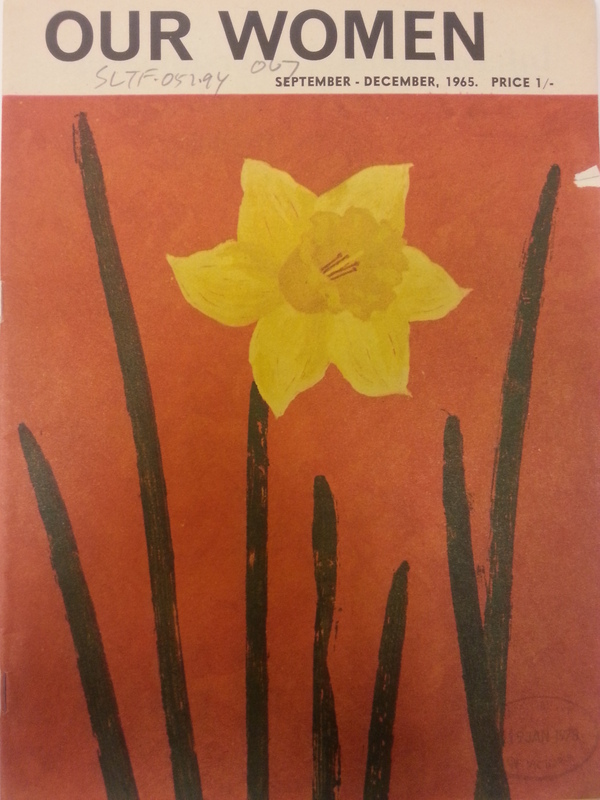 Our women can be viewed at the Library. 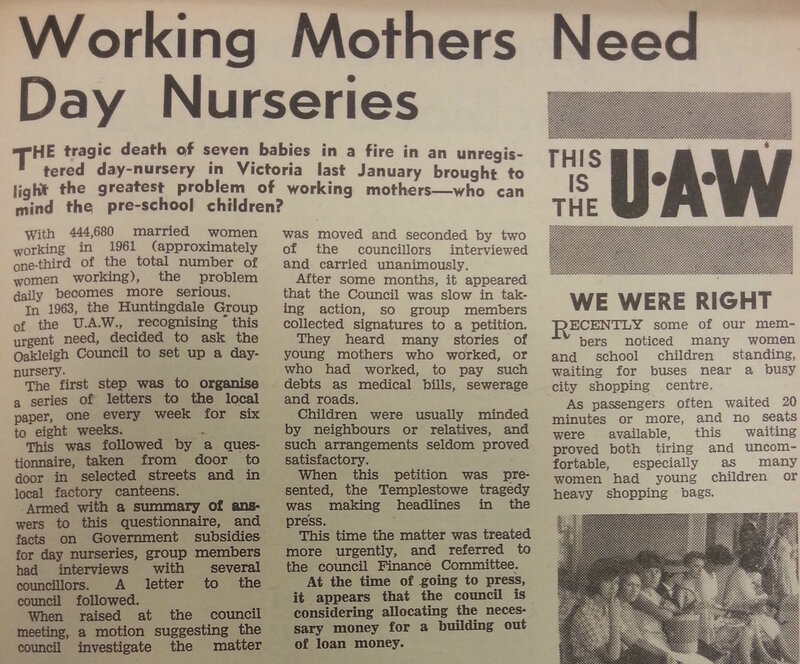 The Union of Australian Women is still operating out of Flinders St, Melbourne and we thank them for allowing us to use images from their publication in this post. How little has changed. The ‘mainstream’ magazines are still guilty of producing the same sort of content. Womankind is probably the new version of ‘Our Women’.